The "Last Contacted" value on a contact or company record will show the last date of any inbound or outbound interaction you or your team have with your contacts. What doesn't affect the Last Contacted date? Note: We are aware that some users want to update the "Last Contacted" date manually and we are evaluating the best way to add this to Nimble. We do not have a specific release date to share at this time. How do I see the Last Contacted date? 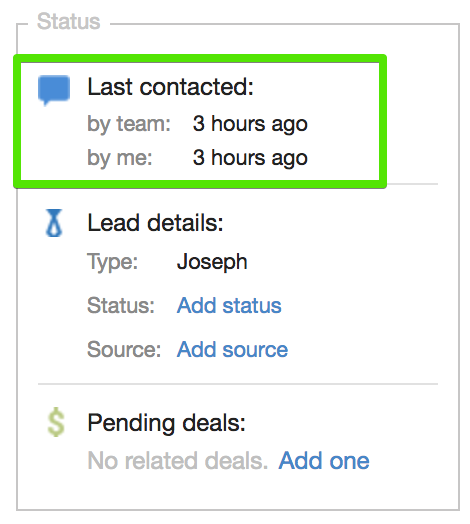 The Last Contacted feature will display in both the Contacts tab and on a Contact Record. When you view a Contact Record, you'll see the last date of contact between you and your contact. 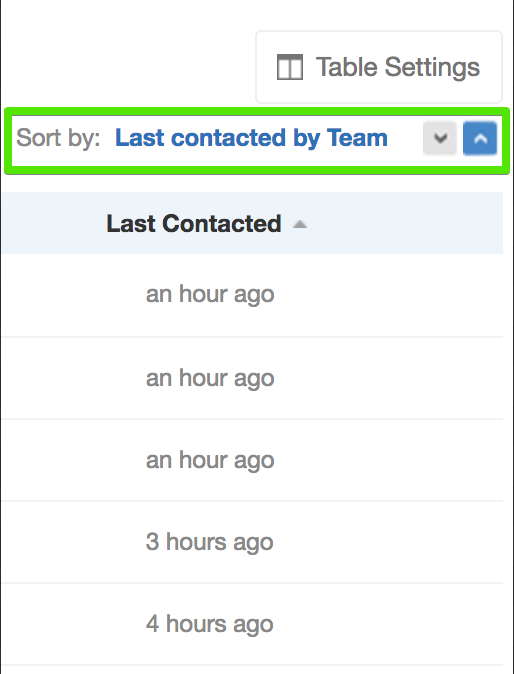 From the Contacts tab, you will see all contacts that were recently contacted by your team. As you'll see below, you can sort this list in ascending or descending order for better organization of your leads.